I’ve been doing some freezer cooking for when the baby comes and I thought I’d share one of my favorite recipes. I love it because it’s delicious and inexpensive. Actually, I did a freezer swap with some of my friends last week and this is the recipe that I made. I hope you enjoy it as much as my family. Step 3: Mix Sauce, sour cream, parm. cheese, veggies and cooked beef in pot over medium heat until sour cream is melted and combined. Step 4: Add Pasta and combine. Step 5: Pour into greased baking dish. Step 6: Sprinkle with shredded cheese. Step 7: Bake at 350 for 30 minutes. If freezing, let cool completely, cover and freeze. To cook from frozen bake at 350 for 45 min-1 hour. You can easily omit the beef to make it less expensive. We’ve also found that using taco meat gives it a great flavor. Mix Sauce, sour cream, parm. cheese, veggies and cooked beef in pot over medium heat until sour cream is melted and combined. If freezing, let cool completely, cover and freeze. To cook from frozen bake at 350 for 45 min-1 hour. I found this recipe on Pinterest, and I'm so glad I did! 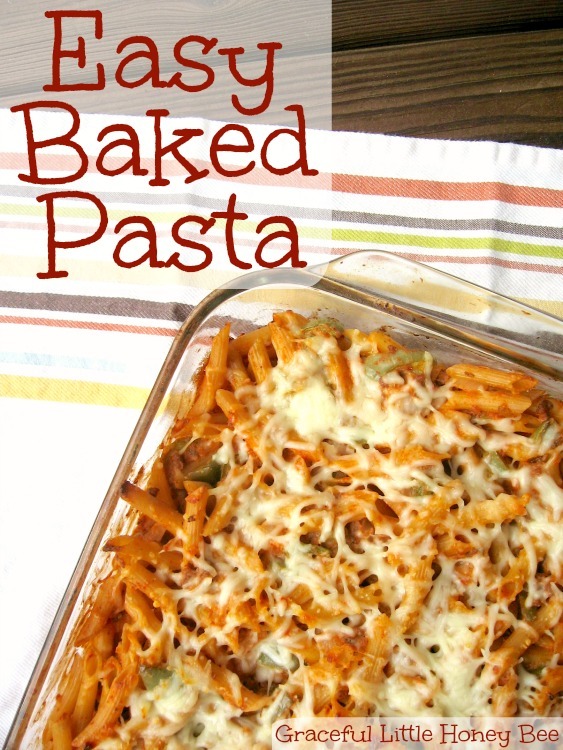 I have made a simpler baked pasta but was looking for ideas to jazz it up a bit, and this is delicious! I created a spreadsheet a few years ago to help me with meal planning, and have been updating it with every new recipe we try and like. It now contains around 90 meals, each categorized by main ingredient (Beef, Chicken, pasta, etc) and meal type (Mexican, Italian, American, etc), with a link to the recipe - yours included! It has saved me so much time with meal planning and making out my grocery list! After talking with some friends, I thought this spreadsheet might be something worth sharing, so I have made it available from my blog to download for free! Now that my readers have your recipe, I'm sure they will be enjoying it as much as we do!